A great number of people suffer from low back pain (LBP). Not only is it one of the main causes of sick leave, but also it impairs daily activities for many people who could be having a very active domestic and social life, as well as plenty of leisure activities, if it was not for a terrible backache that keeps preventing it, to the point of restraining them to a wheelchair or to their bed. WHY IS MY BACK PAINFUL? LBP may arise due to many different causes, such as muscle stress or abdominal lesions, but the source of the pain may also be the spine, intervertebral discs, or even lesions to the spinal cord or its branches. In the younger patients (20-40 years old) the origin is usually an intervertebral disc degeneration with or without disc herniation. They are patients with a low back pain that increases when they bend forward, and that may spread to the buttocks or back side of the thigh. When there is a disc herniation, the pain spreads further, reaching the feet. In older patients (60-80 years old), on the other hand, LBP is usually due to a facet joint hypertrophy and/or lumbar canal stenosis. Both refer to excessive growth of normal vertebral bone (chronic arthritis), with subsequent narrowing and rubbing that damage neighbouring nerves, thus inducing the pain. The key point is to diagnose the cause, for each medical condition requires a specific treatment, and it is not infrequent for patients to show a mixed pain, caused by both facet joint hypertrophy and intervertebral degeneration. WHAT ARE THE TREATMENT OPTIONS FOR A DISC HERNIATION? Treatment techniques are becoming less and less aggressive. 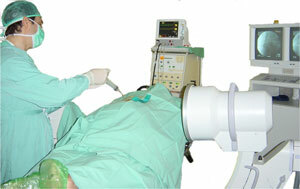 The latest techniques for disc herniations are chemonucleolysis, micro-discectomy and disc endoscopy. Chemonucleolysis involves injecting into the herniated disc a substance, named chemopapain, which destroys it. Though it can be performed under local anaesthesia only, the chemopapain injection is quite painful and so it is usually preferred to have an anaesthesiologist give the patient the adequate analgesics under a strict control of their vital signs. Ozone injection involves injecting ozone gas into the herniated disc and into the surrounding muscles, helping to reduce the swelling of the irritated nerve route and, with it, the patient’s pain. This treatment is not always effective, but, when it is, it avoids having to apply more aggressive treatments. Microsurgery involves the removal of the herniated disc with the help of a surgical microscope, through a 1.5cm incision. 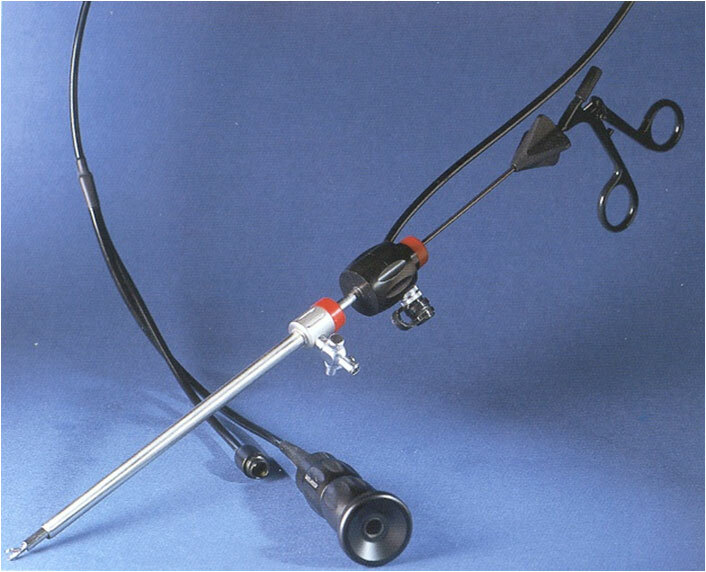 The disc is extracted through endoscopy, using one or two narrow tubes connected to a video camera and several working channels to introduce the necessary equipment. After a chemonucleolysis, admission into a hospital for 24 hours is, though not strictly necessary, strongly recommended due to the possible adverse drug reactions. After an endoscopic surgery or microsurgery, the patient is usually discharged the next day. MY LBP DOES NOT RESPOND TO DRUGS OR PHYSIOTHERAPY. WHAT CAN I DO? Older patients usually have isolated LBP without accompanying leg pain, and its usual origin is excessive growth of vertebral bone that produces narrowing and rubbing in neighbouring nerves, thus inducing pain. Many patients can start having a facet joint denervation. It is an outpatient procedure which involves lesioning the small nerves that provide sensory supply to the facet joint that is being rubbed. A needle is introduced in the back and RF is then applied to destroy these nerves. The result can last from some months to several years, and can be repeated if needed. In other cases it is necessary to have a lumbar postero-lateral arthrodesis plus reshaping of the lumbar canal. This surgery involves drilling out the arthosic bone which is rubbing the nerves, and the stabilisation of the vertebrae with a metal framework (arthrodesis) which will hold the vertebrae in place while the bone grafts are consolidated (this takes about a year). Arthrodesis is a long surgery (4-5 hours) which is usually performed with the patient lying face down. Some patients cannot remain in this position for long, perhaps due to obesity, cardiovascular and respiratory problems, etc., so they are considered high-risk patients and they are usually refused for surgery in other centres. In many cases, one solution is to perform the procedure with the patient lying on their side. This position requires greater surgical skill and makes the procedure some 30 minutes longer, but also reduces the possibility of complications and allows this surgery to be performed in patients who would otherwise have been condemned to be treated only with medication and physiotherapy. In other cases the problem is disc degeneration, and surgical treatment will involve insert a expanding screws or a discal prosthesis to replace the disc. This procedure is significantly less aggressive than the lumbar postero-lateral arthrodesis and has a much faster recovery. The patient is usually discharged 24-48 hours after the procedure, largely due to having moderate pain. The size of the incision is small, so this helps reducing the pain. This procedure is usually painful for the first 48 hours, so the anaesthesiologist will provide special treatments, apart from usual analgesics, such as intrathecal analgesia and PCA pump. Intrathecal analgesia involves injecting a strong analgesic into the patient’s thecal sac, which surrounds the spinal cord, before the lumbar postero-lateral arthrodesis is started. The effects will start 6 hours after the administration and last for 30 hours, providing the patient with great comfort in the first 2 days, which are the worst of the postoperative period. The other option is the administration of analgesics through the PCA pump. The PCA pump is connected to a vein and consists of a small computer with a button and a saline infusion containing the analgesics. When the button is pressed, the analgesics are administered. There is no danger of overdose because appropriate limits, established using the patient’s weight and age and the surgery performed on them, are programmed into the computer. After a lumbar postero-lateral arthrodesis, the patient is usually discharged on the 2nd or 3rd day, depending on the number of operated levels, on how well the surgery has gone, and on how the patient’s body is recovering from the surgery. If the procedure is carried out percutaneously, recovery is much faster, and so the patient will usually be ready for hospital discharge 48 hours after the intervention. The most frequent complication is bleeding, which might require a blood transfusion to be carried out. This can be avoided by performing the arthrodesis percutaneously. If you wish so, you can be you own donor (autotransfusion) so long as you inform us at least 5 weeks before the operation. We would need to extract blood from you once a week for 4 weeks, and you would need to take medication that promotes the production of blood in your body. If you do not wish to be transfused, not even with your own blood, as happens with Jehovah witnesses, you must also inform us weeks before the procedure to be able to prepare your body for it. In this case the anaesthesiologist will inform you in detail about what you need to do and about the medical conditions required for the procedure. Other possible, but less frequent, complications are those derived from the position of the patient (lying face down) in a prolonged amount of time, mainly cardiac, lung or nerve compression problems. Nevertheless, both the surgeon and anaesthesiologist will, of course, reduce the possibilities of complications, and start treating them as soon as they appear. The results of the surgical treatment of disc herniations are usually highly satisfactory once the procedure is finished: once the origin of the pain (the hernia) is removed, the pain usually disappears. There can, however, remain some low back bother of variable magnitude. Facet joint denervation is a procedure whose results are only temporary, lasting between 6 months and various years. Its objective is to delay the lumbar postero-lateral arthrodesis in patients who are not so old. The lumbar postero-lateral arthrodesis also has highly satisfactory long-term results, with pain relief for years. In some patients, after progression of their arthritis, this condition affects the vertebrae above and below the operated level and so they may start to hurt. 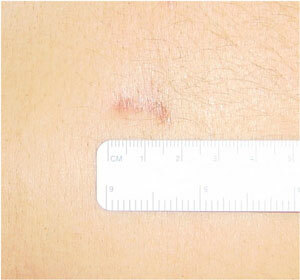 This problem is usually solved with a facet joint denervation, but occasionally it may be necessary to repeat the surgical procedure, removing the previous material and inserting a new arthrodesis in more levels. Expanding screws, used in some arthrodeses, have usually very good results in the majority of patients, but cannot avoid the degeneration of neighbouring discs. The key point in low back pain is a precise medical history registration and thorough clinical examination that leads to an accurate diagnosis and, with it, an appropriate treatment.